There’s no easy fix, but with incidents on the rail system increasing, officials are trying to tackle this hard-to-talk-about issue. Early in his career in the 1980s, Paul Piekarski faced the moment every train operator dreads. “I remember it vividly,” says Piekarski, who was working the Union Pacific freight line. “It was a cold January morning. A retired dentist in Broadview. He’s standing alongside the viaduct column, and I think, What’s he doing there? He gets closer, like he’s gonna board the train. And he laid on the tracks.” Piekarski urgently blew his whistle, rang the bell, and hoped the next second would end in a close call. 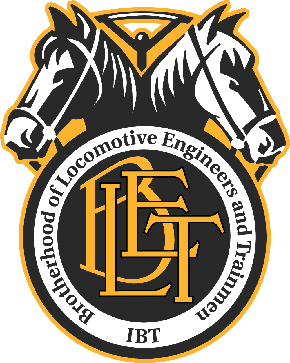 Now serving as the chairman of the Illinois State Legislative Board for the Brotherhood of Locomotive Engineers and Trainmen, Piekarski has watched for decades as the rail industry grapples with its role—however unwitting—in the public health discussion about suicides. lifeline.org for a live chat. Few rail services have felt the urgency to address the issue as intensely as Metra, which tallied 23 confirmed or suspected suicides along its routes from January to late October of this year. That’s slightly ahead of the pace from 2016, when there were 26 all year. The numbers have been rising steadily since 2012, when there were 16. “There’s lots of noise from year to year, but one thing you can definitely say is that it’s not diminishing,” says Ian Savage, a Northwestern University professor who researches transit safety. The causes and solutions are more apparent with accidental fatalities: Improving visibility and barriers at crossings can curb collisions between trains and cars, for example. But there’s no way to engineer a response to a complex human action. Experts have yet to pinpoint who might attempt suicide by train or why the numbers are increasing. There’s also no consensus on which prevention measures actually work. Few have been implemented, and even fewer have been meaningfully studied. That’s because, though horrific, train suicides account for only about 1 percent of all suicides in the United States. In fact, the Federal Railroad Administration hadn’t even performed a baseline tally of the number of deaths nationally before 2011. “It’s like a sports game, and we’re walking in at the first quarter,” Savage says. What is known is that the problem is particularly severe in the Chicago metro area, the nation’s largest rail transit hub. The rate of suicide by train rises to 4 percent here. Savage’s research has revealed a typical profile: a man in his 40s or early 50s from the suburbs, where street-level tracks are prevalent. Because these are commuter lines, the impact of each death is felt widely. “There’s a domino effect,” says Lanny Wilson, who chairs the DuPage Railroad Safety Council. “All the people who are kept from getting to work on time. All the people who deal with the psychological effect of ‘I’m riding on a train that just killed somebody.’ And there’s the train operator.” Though they didn’t when Piekarski started out, Metra and other rail services now offer counseling for operators who witness a train death. Engaging the public on suicide prevention poses especially sticky challenges. Wilson says many rail officials worry that emphasizing the dangers of trespassing on the tracks might serve as a playbook. In the immediate aftermath of a death, Metra’s policy is to inform passengers only that a train stopped because it hit a pedestrian. The media, too, wrestles with these questions, worrying that coverage of these deaths could encourage copycat behavior. Our sister publication the Chicago Tribune reports on train suicides when they impact readers, such as by delaying commutes, or involve a high-profile person, like when Phil Pagano, Metra’s CEO at the time, walked in front of a train in 2010. In September, for the first time, Metra undertook a system-wide effort to publicly address the problem. Its first act: posting signs along the platforms of its 11 lines reminding people “you are not alone” and providing a hotline number. The rollout coincided with Breaking the Silence, a daylong symposium bringing together mental health experts, rail officials, and safety advocates. “What’s changed is that we began this year with an alarming number of incidents, and our chairman, Norm Carlson, challenged us to explore what more we could do as a transit agency,” Hilary Konczal, Metra’s chief safety officer, told Chicago by email. Metra also credits its two-year-old program of training frontline employees to spot behavior that looks self-­destructive—modeled after one used in Britain—with preventing at least 39 presumed suicide attempts from January to early October of this year, according to a Daily Herald report. Employees now intervene if they see someone lingering aimlessly or edging dangerously near the tracks. But results from studies on Britain’s program and others—including the one in Japan that uses blue lights on the platform to create a soothing effect—have been mixed.